Crisp Dry Fruits (Chashew and Raisins) 200 gms. in a Box. 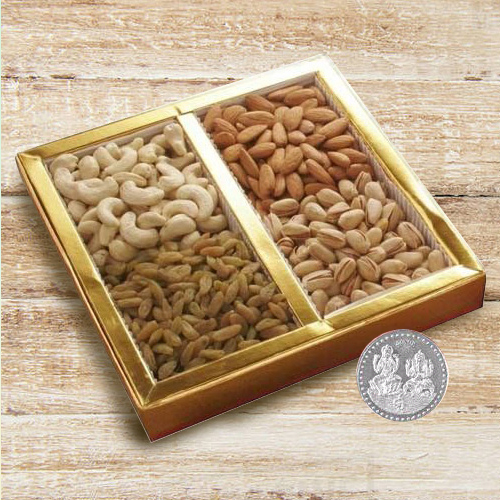 Crisp Dry Fruits (Chashew, Raisins, Almonds and Apricots) 500 gms. in a Box with Free Silver Plated Laxmi Ganesh Coin. Crisp Dry Fruits (Chashew, Raisins, Almonds and Apricots) 1 kg. in a Box with Free Silver Plated Laxmi Ganesh Coin.